Serial murders start happening in Tozama City， a suburb of Tokyo where a fifth grader named Shinta lives. The killings are so horrible， it’s almost like the killer himself isn’t human. The keyword that comes up during the investigation is ’M.J’... Is that the name of the killer？ After the killings， Shinta’s classmate Junpei disappears， but is later found in the sewers. ”I can control M.J with my mind，” he confesses. Shinta doesn’t believe him， but soon enough， tragedies happen just how Junpei predicted they would... In order to uncover the mystery of M.J.， Shinta makes a call to Sakaki， an assistant professor from the medical department at T University， who knows M.J’s past... 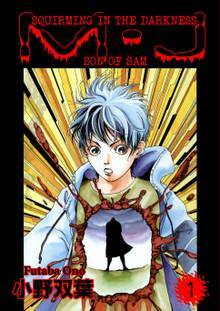 This manga contains ”Prologue: M.J ―Son of Sam―， ’I Saw Him！！’” and other chapters. Servants of Hell such as wizards， witches and warlocks exist much closer to you than you may realize. Normally， they don’t shroud themselves in black， but rather live normal human lives while they ceaselessly wait for a chance to send demons into the human world. Like， for example， that quiet classmate who sits behind you... Naomi is studying for high school exams， but things aren’t going well， and due to her newborn little brother， she can’t concentrate， so she’s under a lot of stress. That’s where Jack comes in and introduces her to a demon named Nebiros. ”He’ll lend you the power you need to pass， but in return， you need to pay him a soul.” At first， Naomi refuses to make the deal， but then， Jack whispers to her. 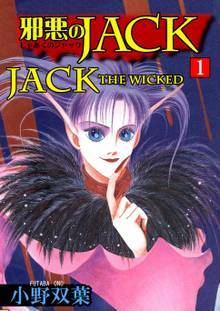 ”You can give up your little brother instead...” This is the complete edition of ”Jack the Wicked” which contains reworked art and special chapters that were not included in the regular volumes!